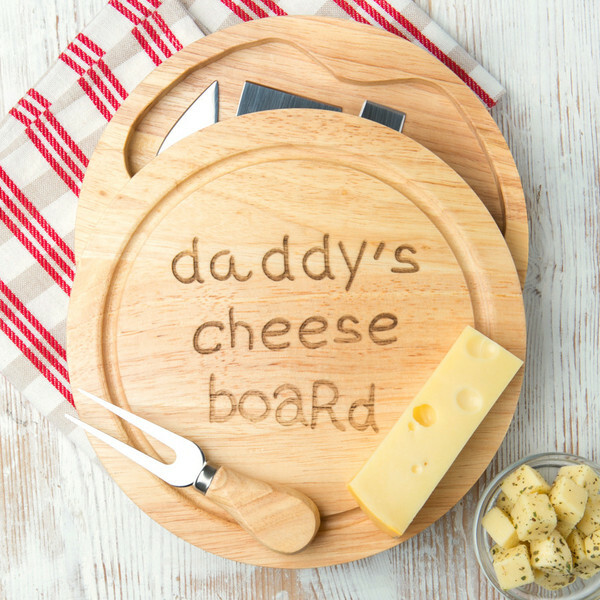 "Daddy's Cheese Board" in children's handwriting style. The perfect gift for Father's Day! 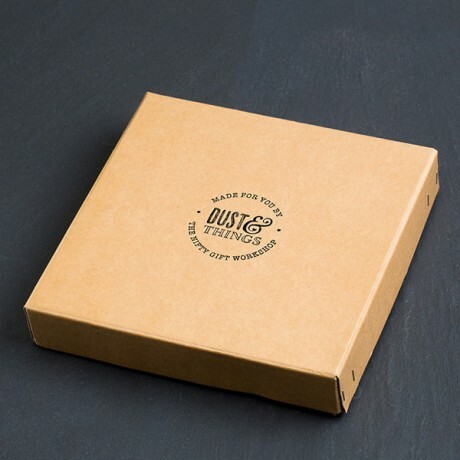 This Daddy's Cheese Board Set is made from environmentally friendly rubber hardwood. 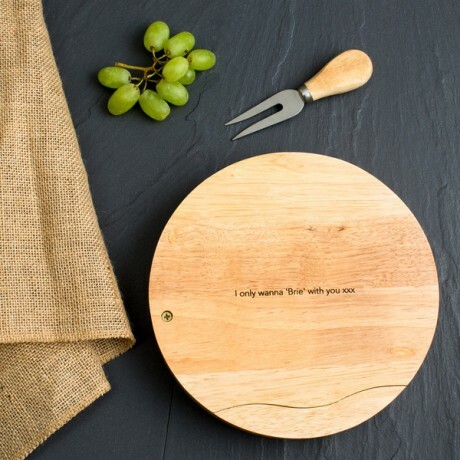 This material makes the ideal surface for cutting, as it is gentle on knife blades and durable enough to stand up to regular use. The cutting surface has a recessed groove around its centre, which helps to keep cheese other food in place. 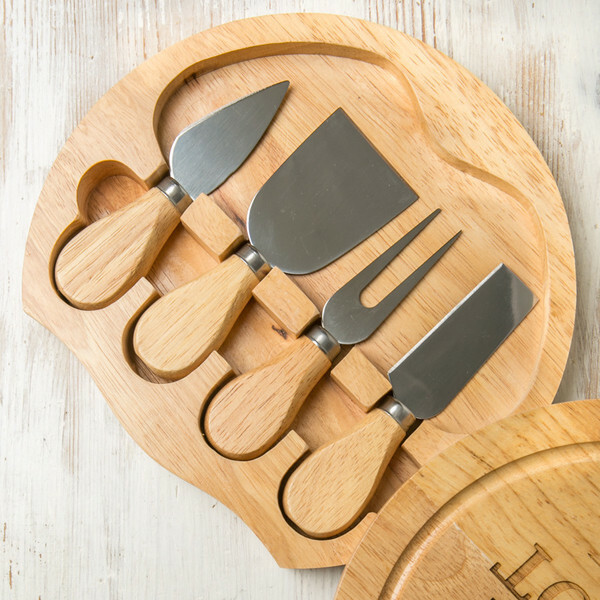 The cutting surface lid turns open, unveiling a storage compartment and three cheese cutlery. The tools include a tapered cheese knife with a pointed tip, a tapered cutting slice with a square tip and a two-pronged fork. 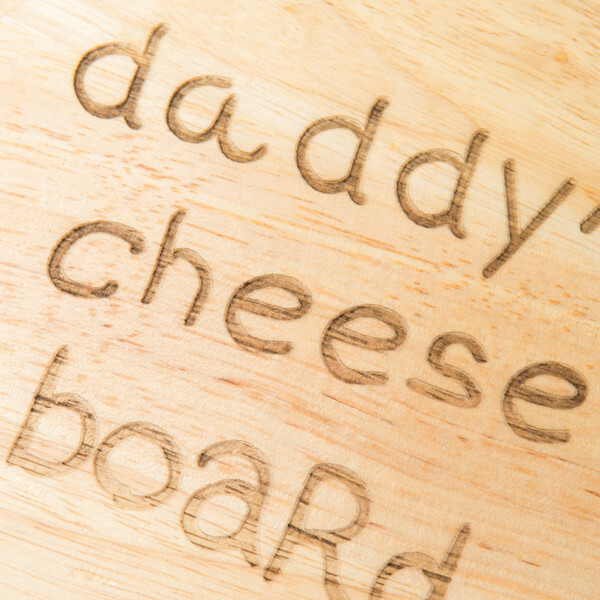 The surface of the cutting board will be deeply engraved with any message you would like, such as "daddy's cheese board"